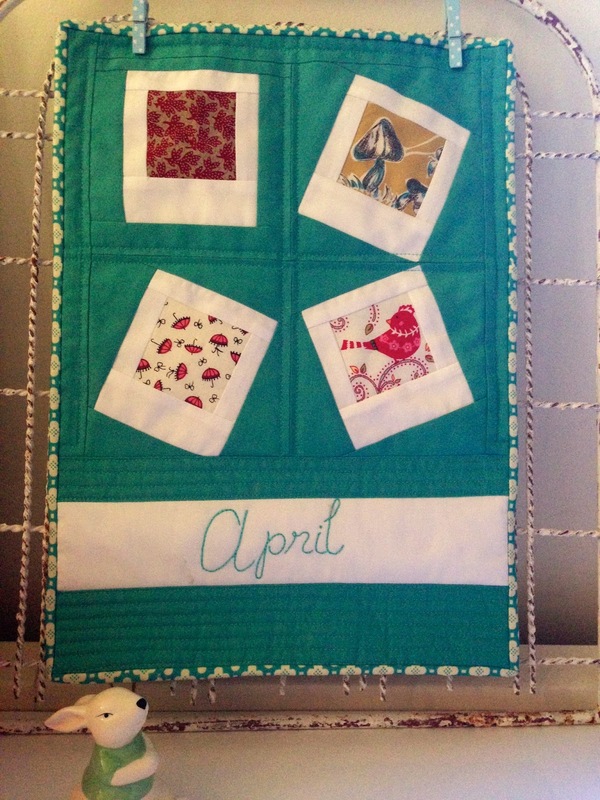 Patchwork n Play: Welcome April! Looking forward to some April showers my garden is very thirsty. Oh such a pretty one, love the umbrellas, and cute birdie. Can you believe ...another Month already!I love those umbrellas...so Spring-y! We would love some April showers. They say they are coming tomorrow - we'll see! April already!! It's always fun seeing what you choose to represent the months. You are brilliant in your use of these little Polaroids! Since I see stitching again, that must mean that your husband is getting enough better that you've found some time to sew a bit. If that is the case, that is great news! I agree with DeborahGun about the Southern Hemisphere interpretation. I remember that after we lived in South America, we had a hard time acclimating back to the US seasons--we got two summers that year (to make up for our two winters when we went down there). I also love the display frame! Lovely! April showers here in Madrid today! Cute little red bird and umbrellas! 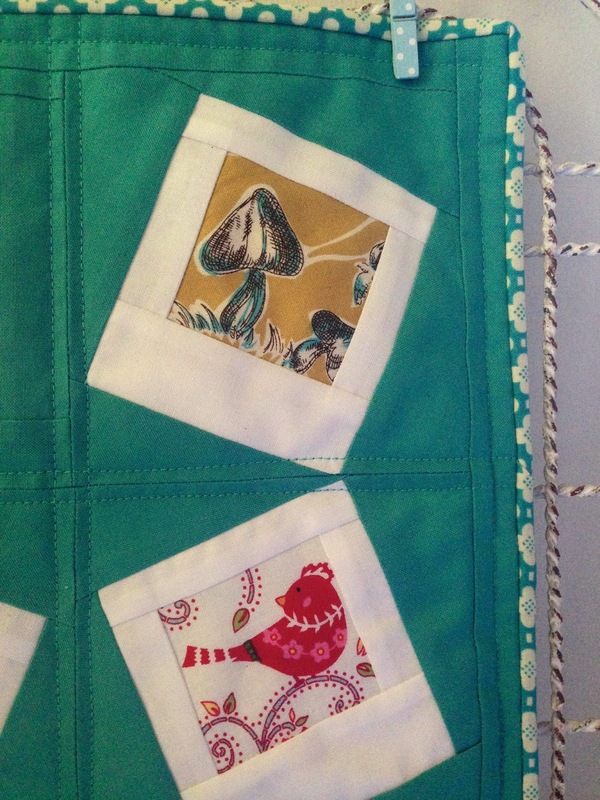 Another fun project Suz. Pretty! 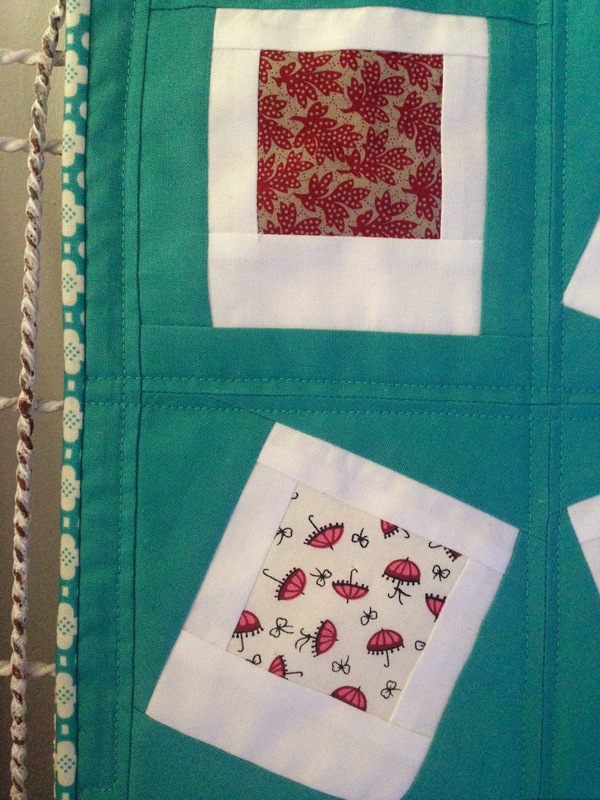 Such a great reason to use solids, and I love that binding! You're doing such a good job of keeping up with these. April showers! You are showing us with lovelies! This is such a great idea, Susan!